Technologies that were considered previously as belonging to the realm of science-fiction could soon become real options as a result of the dramatic development of Neurosciences of the last 20 years. These technology-based innovations raise obvious ethical questions. Should we do what we are technically able to do? Is the use of these tools compatible with our current moral values, should we re-evaluate these values? 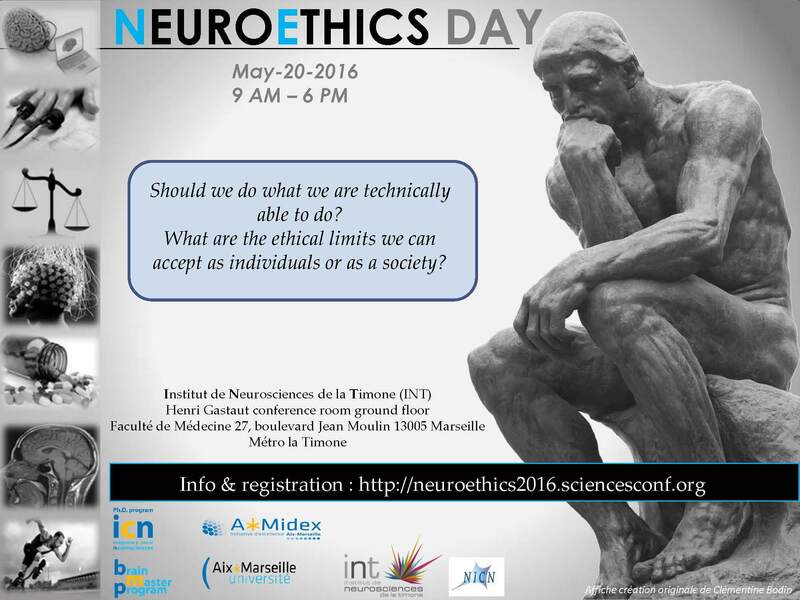 What are the ethical limits we can accept as individuals and/or as a society? These broad interrogations are of outmost importance when dealing with the brain, seat of our personality and humanity. Conversely, new data on brain functioning interrogate our conception of morality, human responsibility and free will.